Male feminists are great. "Male feminists"—i.e. the dudes who claim to be feminists only to then act like conversation-dominating, overwhelming dickwads—are not so great. 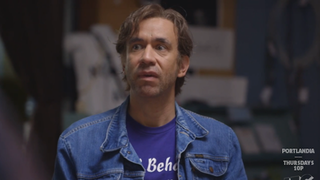 Thankfully, it's the "male feminists" who are being mocked on this week's Portlandia. Joking aside, I do appreciate it when you imagine me without hair and refer to me as a doctor.